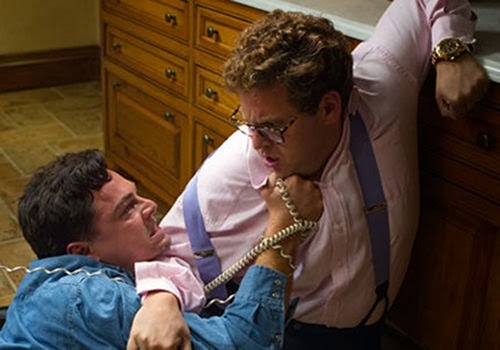 The hottest controversy right now surrounds “The Wolf of Wall Street” and whether or not the film makes Jordan Belfort look like a hero or a villain. Okay, maybe this debate is a week old but I don’t get paid to do this so relevance is irrelevant here. Anyway, “The Wolf of Wall Street” is not the first film to face this problem. Watching movies is such a subjective experience that they get misunderstood all of the time. Sometimes, this can be a good thing and it can bring up issues that nobody talks about, like how to view people who somehow make taking Quaaludes and snorting cocaine look hilarious. Other times, it can show how dumb people are, such as those who root for Jordan Belfort. Other times, misinterpretation can be dangerous when the irony is lost and life imitates art. “Wolf” isn’t the first time that somebody has gotten one of Scorsese’s films wrong. “Taxi Driver” is one of cinema’s most haunting and ambiguous works of art. Excuse me while I go hit myself in the head with a hammer after writing that sentence. Anyway, the disturbed Travis Bickle (Robert De Niro) shoots up an entire army of pimps in his efforts to save a teenage prostitute. Yes, he saves a young girl’s life, but in the process he becomes one of the maniacs that he hates. In the end, newspapers declare him a hero and he evades jail time. Some might believe this is how we should actually feel about him, while others find it ironic that a psychopath would be venerated by the media. In an even more extreme case, John Hinckley Jr. was inspired by the film and attempted to assassinate Ronald Regan. Sometimes, misinterpretation leaves the realm of silly intellectual debate and turns into something much more frightening. “Greed, for lack of a better word, is good.” This is the most famous quote from “Wall Street,” and many people took it as a life philosophy as opposed to a stern warning. The Gordon Gekko case is a failure of irony. Then again, I would probably trust anybody with a cell phone that awesome. Fittingly, one of the many people inspired by “greed is good” happened to be an idealistic young stock broker named Jordan Belfort. Both of these comedies from 2007 explore unexpected pregnancies and in both there is a key scene where a character decides to keep the baby instead of getting an abortion. Immediately, many conservatives hailed the film as strongly pro-life, showing that political people never miss out on a single chance to push their agendas. Rather, their decisions were necessary for the films. If Juno and Alison had opted to get abortions, then both “Knocked Up” and “Juno” would have been over within 20 minutes. This entry was posted in Jordan Belfort, Juno, Knocked Up, Martin Scorsese, Taxi Driver, The Graduate, The Wolf of Wall Street, Wall Street on January 8, 2014 by ian0592. Great write-up. On the Tropic Thunder note, I think most people were offended by the repetitive use of the word retard rather than the point they were trying to make (which is a point that I agree with, along with your statement of exploitation). I for one don’t use the word and I am a strong supporter of the End the R-word campaign. But… I understand that was the best vocabulary that could be used to get the humor behind the point, and it is not as if the humor comes from one character telling another character who has done something stupid that he is “retarded”.